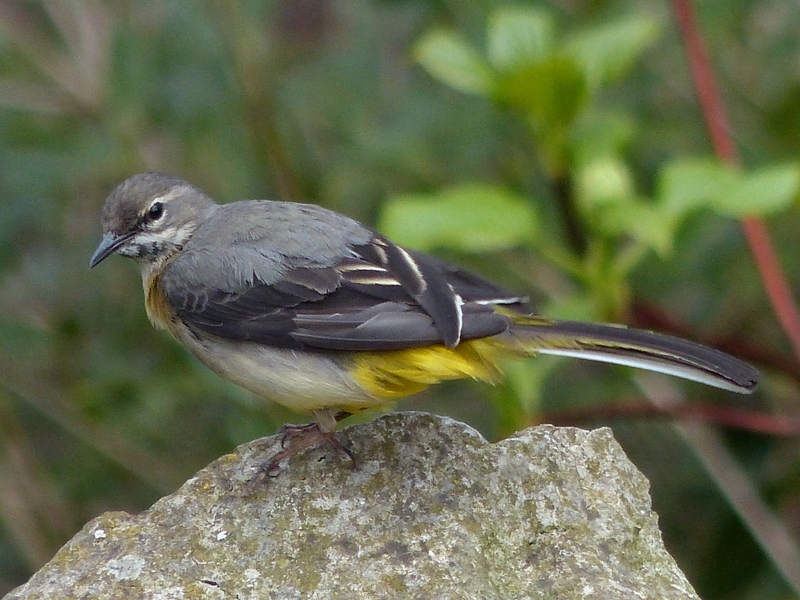 There was a Grey Wagtail hunting insects over the Long Water, the first seen for some time. I was wondering where they had got to. 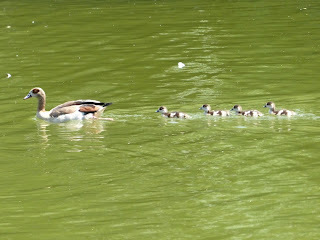 They are usually seen on the edges of the Serpentine. This one is female; males are more extensively yellow on the underside. At least one Kingfisher had also returned to the Long Water. At present it is in the Kingfishers' usual place, which makes it hard to see and impossible to photograph. It has two stations, one in a bush on the shore to the north of Peter Pan, beyond the line of posts, and the other directly opposite on the other side of the lake. You would expect to be able to see it in the second of these spots by examining the bush with binoculars. But evidently its perch is masked by a branch because, as far as I know, no one has ever managed to spot it. 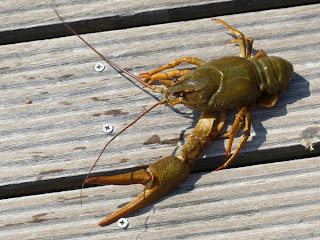 The crayfish in the lake have now grown to a substantial size. This one-clawed specimen found by the people at Bluebird Boats is at least 10 inches long, not counting the antennae. It is a Turkish Crayfish, Astacus leptodactylus. The boat people have also found American Signal Crayfish, Pacifastacus leniusculus, which can grow to a formidable size. Both these species have been introduced to British waters and have become an invasive nuisance, gradually wiping out the native White-Clawed Crayfish, Austropotamobius pallipes. 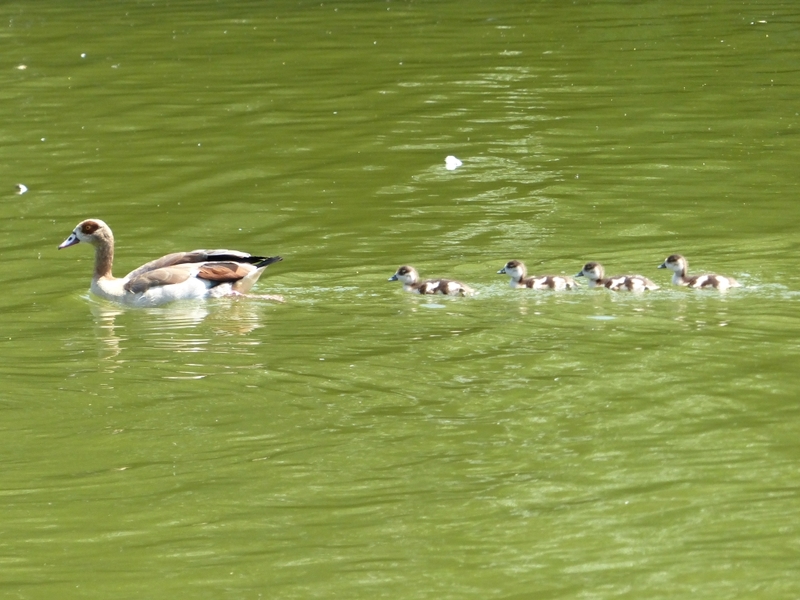 There is a new family of Egyptian Geese at the Serpentine Island, but sadly their mother doesn't seem to take much care of them. Immediately after I took this picture she started a quarrel with a Greylag Goose and left her young unattended in open water for several minutes. Carrion Crows, on the other hand, are attentive parents. 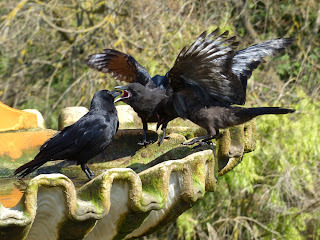 Here two of a brood of three are pestering their parent, left, for food, and getting it. They are on the marble fountain in the Italian Garden. All the fountains are off today. The new machinery which was put in to work the fountains when the Italian Garden was restored don't seem to be nearly as reliable at the old ones, and constantly fails.